Airbnb have revealed which abode is their most requested listing and it is not the slice of luxury that you would expect. 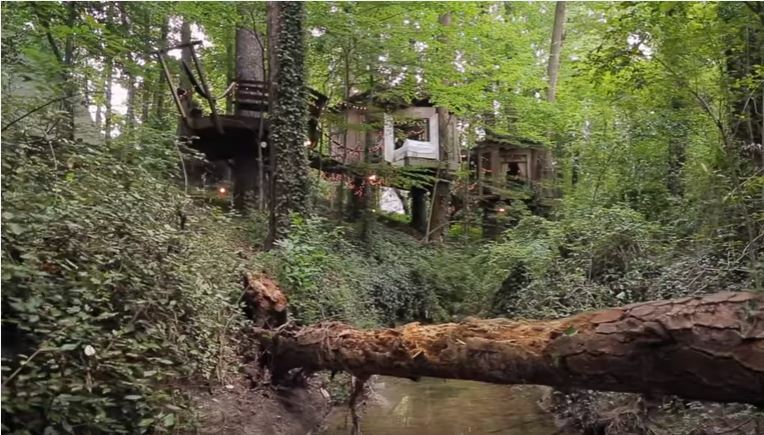 The most requested Airbnb listing is actually a simple tree house that lives in a guy’s backyard in Atlanta, Georgia. And it doesn’t even have a connected bathroom! 18 years ago Peter Bahouth, who has worked for over 30 years in environmental activism, decided to build the tree house as a way to immerse himself in the environment he sought to protect. By using seven trees in his garden, Bahouth built three connected tree houses each with its own theme; mind, body and spirit. It wasn’t until he put it up on Airbnb though that he realised how much joy his project could bring. I didn’t really know how I would feel about having people stay out here. But I began to realise that people were having these amazing, great experiences and it was meaningful to them and it therefore became meaningful for me. The tree house, which comes complete with rope bridges and hammocks, was immediately popular and is currently on the wish list of 147,052 Airbnb users. Costing $375 a night it is a lot to pay for a house that has very few amenities but this does not bother visitors who want an escape from reality. Bahouth always ensures that he gives each guest a tour introducing them to the characters of the house including ‘the old man’ which is a 165-year-old southern short leaf pine that watches over the place. It is clearly a magical place and affects those who stay there. People come here and they write and they think. They leave great stories and they have things happen to them here. Sometimes, they leave after two days and they just look different — they look like they just needed to simmer down a little. I’ve tried to understand why it’s been so popular. I think it’s a simple response to a complicated world for a lot of people. If you need a place to recharge your batteries then, this magical serene tree house is where you need to go! It even has rolling beds that you can take outside so you can sleep under the stars. Simply stunning!